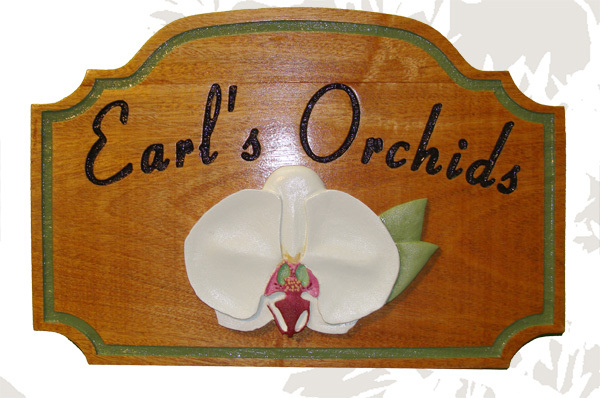 This elegant stained cedar wood sign for the "Earl's Orchids" has the text and the border engraved. The orchid is carved from High-Density-urethane in 3-D bas relief,and artist brush painted. After staining this sign is clear-coated twice. It is UV protected and water resistant,It can be hung from a scroll bracket or wood beam over a sidewalk, or mounted on a wall.